Realtors/Sales Associates spend many hours holding houses open, researching financing alternatives, keeping abreast of the current market and market trends, and they also spend time continuing education studies. All of this activity (and much more) is done with a desire and dedication to earn the loyalty of their clients and build a personal reputation for efficient, friendly, professional service. The real estate business is a people business. Each Associate's success depends on referrals, recommendations and repeat business. The Tucker Sales Associate you choose can give you information about any property on the market, even when the sign in the front yard belongs to another company. You only need one REALTOR® to help you find the home of your dreams. Self-employed means that a Sales Associate does not receive a salary, a company car, an expense account, vacation pay, insurance and retirement benefits, etc. In addition to these expenses, the Associate also pays license fees, monthly Multiple Listing Service fees and annual membership dues in local, state and national REALTOR® Associations, and often share in advertising and promotional expenses. Each Tucker Associate has a contractual agreement with the F.C. Tucker/Tomlinson Company, Inc. This agreement states that the individual may list and sell real estate as an Independent Contractor representing the F.C. Tucker/Tomlinson Company. At the time of closing, after all of the work has been completed to the satisfaction of everyone concerned, the real estate commission has been earned from the seller's proceeds. This commission is then divided between the company and the Sales Associate representing the seller, and the company and Sales Associate representing the buyer. 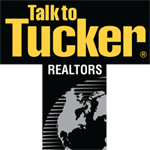 Each member of the Tucker Team is dedicated to giving each client (past, present and future) the very best service. 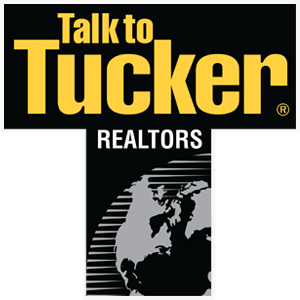 They exemplify the professionalism you've come to expect when you Talk to Tucker Indiana's #1 Real Estate Company.